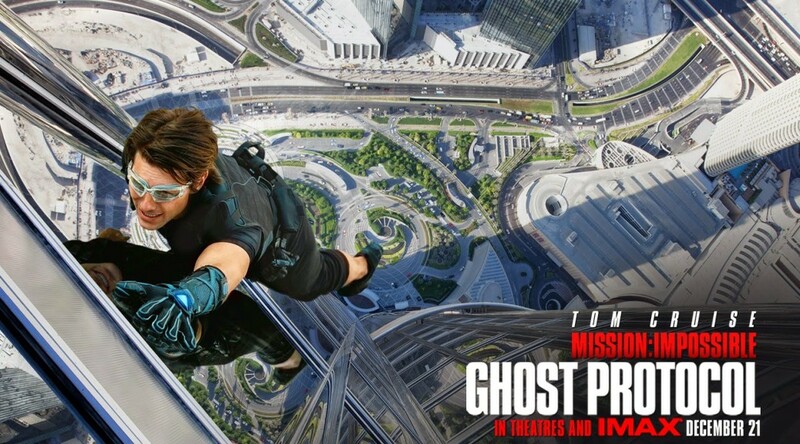 His commitment to performing his own stunts borders on the lunatic – for the fourth installment in the Mission: Impossible series, he climbs and leaps about on the outside of the Burj Khalifa in Dubai – the world’s tallest building. Yes, he’s wearing a harness, but can you see any other A-list stars doing that? There is a simply fantastic behind the scenes featurette on the 2nd disc DVD or Blu-Ray version of the film. 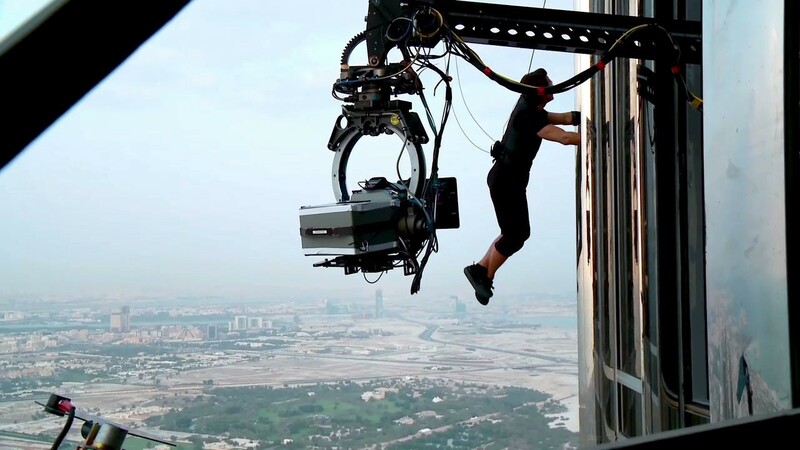 Oscar-winning director Brad Bird kicks off the action by revealing, “we’re a mile and a half above the earth on the tallest building on the planet, the Burj Khalifa in Dubai, and we’re filming a scene where Tom Cruise is climbing on the outside of the building.” After looking out at the panoramic view, Brad deadpans to the camera, “it’s just another day at work on ‘Mission: Impossible.’” And you thought your workday was demanding! While he wasn’t at the tip of the building for his stunt run (he saved that portion of the day for one of most epic self portraits of all time,) the Burj Khalifa only stands 2,717 feet tall. 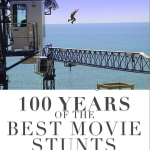 Stunt coordinator Gregg Smrz: I can only imagine how sore he was. He never complained. He would hang up there for hours. He climbed, I want to say, five days in a row? As far as bruised ribs, there’s just no way around it. Co-producer, visual effects producer Tom Peitzman: In one shot, we’re looking up, he’s running toward us, he jumps over the camera and then is running down away from us. It was done in camera with just a whole bunch of rig removal. I’ll never forget lying on the platform that he was running towards, right next to Brad Bird and Gregg Smrz, watching Tom running down directly at us, 60 stories above us. It was unbelievable. 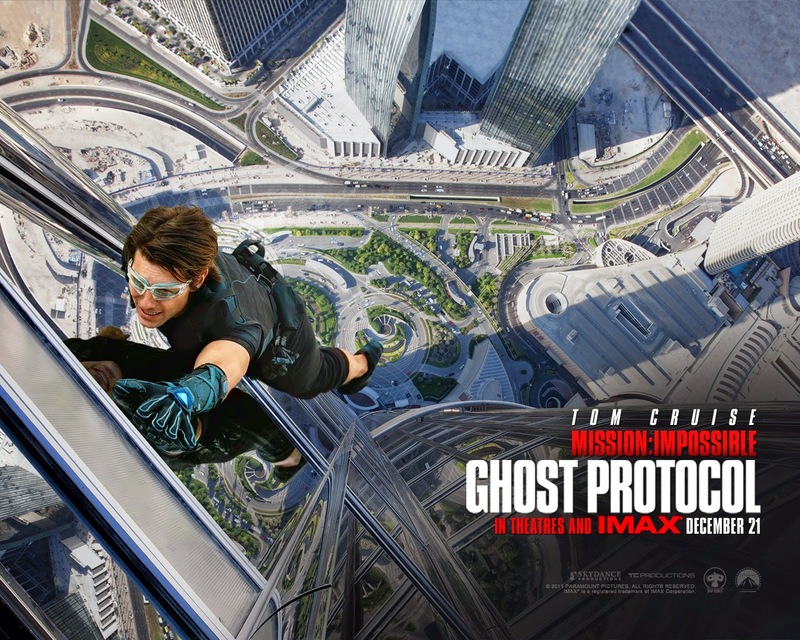 Mission: Impossible – Ghost Protocol was directed by Brad Bird for Paramount.